Ewing, N.J., June 6, 2017 – The makers of vitafusion™, the #1 adult gummy vitamin brand, has joined forces with the Fruit Tree Planting Foundation to officially launch the “Fruit Tree Project.” With a nutrition gap in low income communities1, the focus of the “Fruit Tree Project” is to cultivate and sustain over 10,000 nutrient rich mature fruit trees and remove almost 2 million pounds of carbon dioxide annually. The effort will benefit communities across the US, increase access to healthy foods and foster a better green-scape for all. To officially unveil the program in the United States, the makers of vitafusion™ gummy vitamins have partnered with actress Jennie Garth and will be planting a fruit tree orchard of apple, pear, plum and cherry fruit trees in the Bronx of New York at Dewitt Clinton High School on June 6, 2017 to harvest healthy fruit nutrition to the community. The Bronx is the hungriest borough in New York City with 31% of residents living in food insecure homes2. Minneapolis, Minnesota: More than 1.6 million Minnesotans of all income levels (nearly 30% of the state) have low retail access to healthy food. Of that population, nearly 416,000 live (26% of those are kids 0-17) in a designated food desert. This puts Minnesota in the bottom 10 states in the nation for low retail access to healthy food3. Seattle, Washington: Washington is the 23rd hungriest state in the nation. 1 in 5 kids in Washington state lives in a household that struggles to put food on the table4. Bentonville, Arkansas: More than 560,000 people in Arkansas are food insecure5 – that’s close to 20% of the population6. Trenton, New Jersey: Nearly 12% of people in Mercer County (Trenton) are food insecure7. Looking at Trenton itself, Capital Health declared it was a food desert8. In addition to the communities outlined above, earlier this year, the “Fruit Tree Project” commenced with an international fruit tree planting in Uganda to drive towards its’ commitment to plant more than 10,000 trees domestically and internationally, with the goal to produce nearly 1.5 million pieces of fresh fruit and almost 2 million pounds of oxygen over the fruit trees’ lifetime. 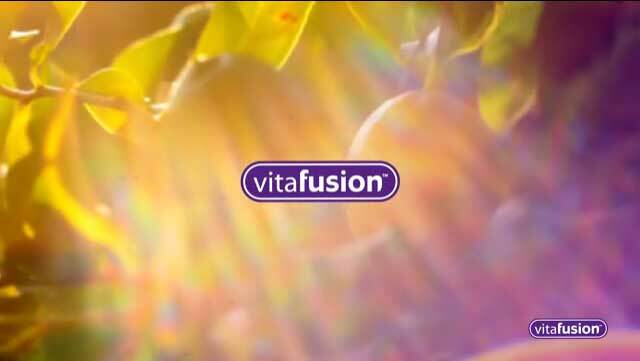 As part of the campaign, consumers can visit the vitafusion™ Facebook page and help spread the word by sharing or liking information about the campaign, and commenting on where future planting sites should be. Learn how vitafusion™ is leading the way with the Fruit Tree Project at vitafusion.com. vitafusion, the #1 Adult Gummy Brand, has revolutionized the dietary supplement industry with five simple words: “We Make Nutrition Taste Good.™” Our introduction of a full range of delicious, gummy vitamins and supplements has provided consumers with an enjoyable and convenient alternative to traditional vitamin pills and tablets. vitafusion™ Simply Good: A masterful fusion of the juice from delicious, crisp, Pacific Northwest pears and golden clover honey, balanced with essential nutrients - each vitamin is pure goodness. And with No High Fructose Corn Syrup, Gluten or Artificial Flavors. vitafusion™ Everyday Energy: Contains nutrients to supports energy production and alertness so you can confidently keep pace with your active life9. L’il Critters™ Fruit n’ Honey: A delicious gummy vitamin that is rooted in wholesomeness, nutrition, and a taste kids will love. Made with the golden goodness from honey bees, real pear juice and uses natural flavors and colors sourced from fruits and veggies—without any gluten, artificial flavors, high fructose corn syrup or synthetic (FD&C) dyes. About Church & Dwight Co., Inc.
Church & Dwight Co., Inc., headquartered in Ewing, NJ, manufactures and markets a wide range of personal care, household, and specialty products under the ARM & HAMMER™ brand name and other well-known trademarks such as vitafusion™. The Fruit Tree Planting Foundation (FTPF) is an award-winning international nonprofit charity dedicated to planting fruit trees to alleviate world hunger, combat global warming, and improve the surrounding air, soil, and water. FTPF programs strategically donate orchards where the harvest will best serve communities for generations, at places such as public schools, city parks, community gardens, low-income neighborhoods, international hunger relief sites, and animal sanctuaries. FTPF’s unique mission benefits the environment, human health, and animal welfare—all at once. 9 These statements have not been evaluated by the Food and Drug Administration. This product is not intended to diagnose, treat, cure, or prevent any disease.